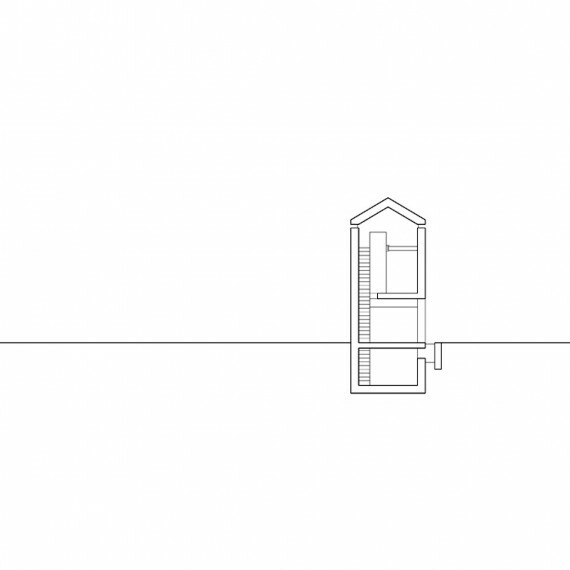 The small house in Rossa was the studio’s first completed project; a quiet rural retreat in which to pass the weekend in the canton of Grigioni. 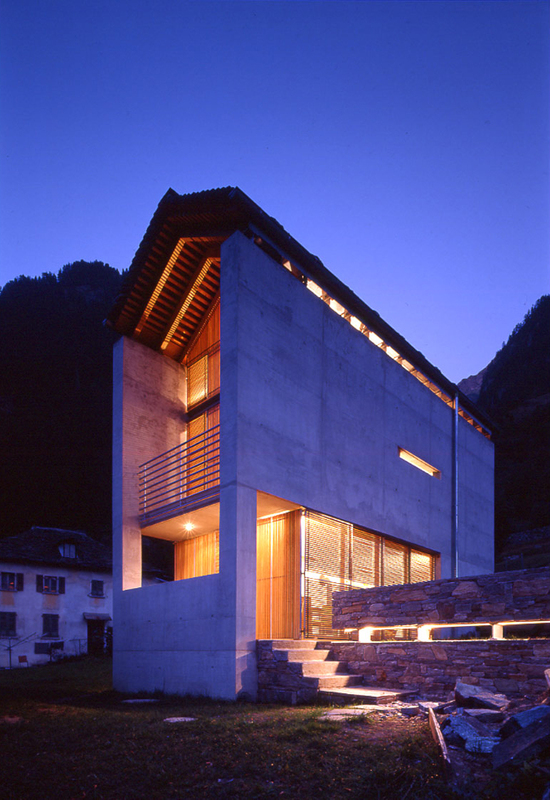 Every detail of the design is influenced by the vernacular architecture of the region and its Alpine environment. 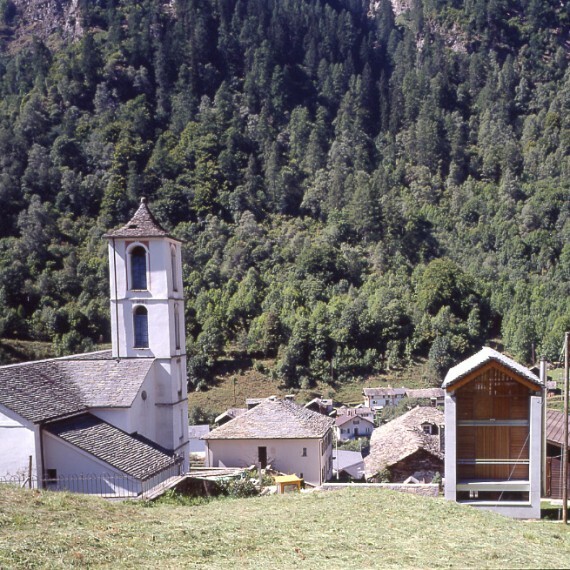 The atmosphere and the environment here are those typical of the Alps, where settlements have always grown with a careful and respectful approach to the rugged topography of the land and its resources. 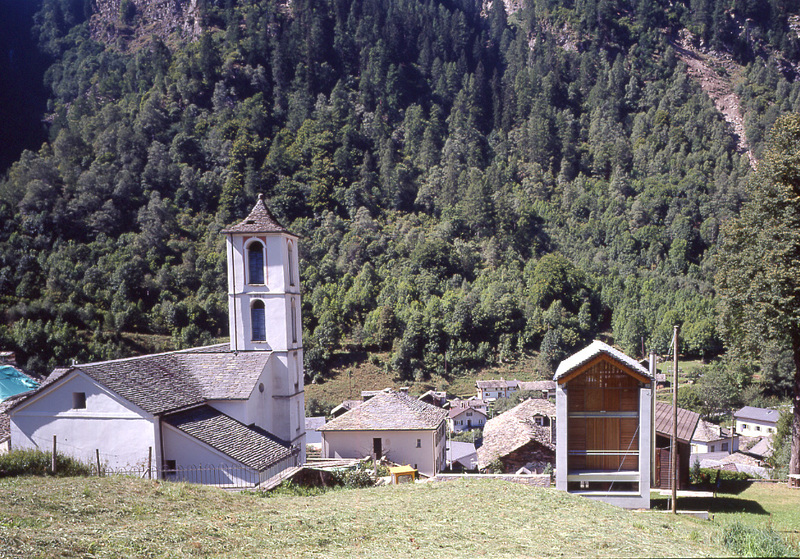 On the south-west facing slope of the valley, where the small village is set, buildings adhere to a traditional system of terracing. 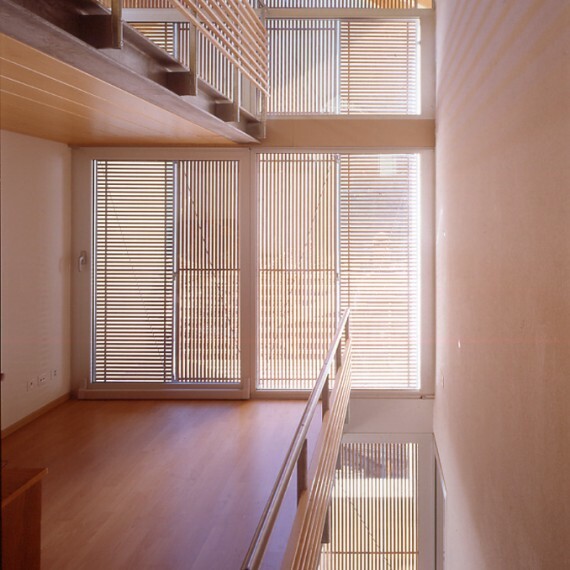 In this way, the buildings take advantage of the communal access terrace between them to gain either an upper (living) level entrance or lower level courtyard. 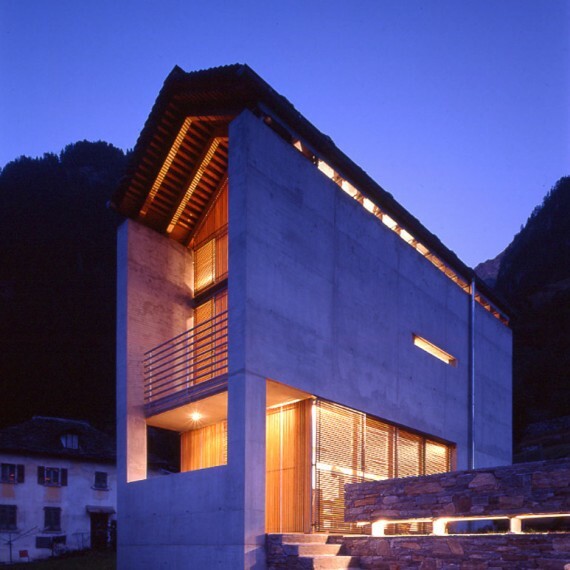 This system extends the living spaces to the outside and makes full use of the land available. 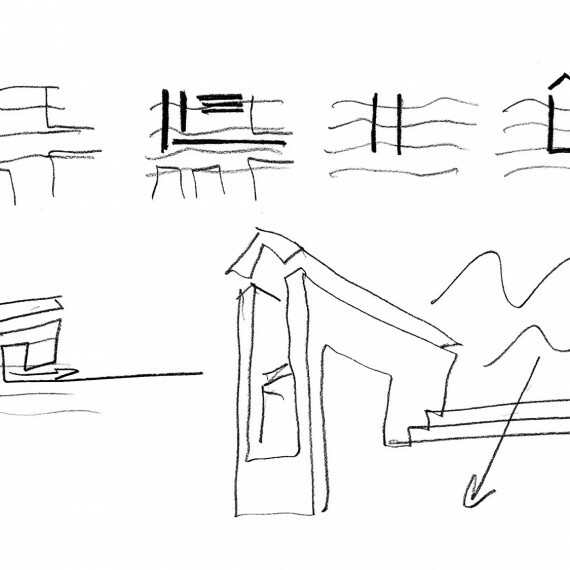 By creating this dual aspect, each building opens up to and becomes part of a interdependent community. 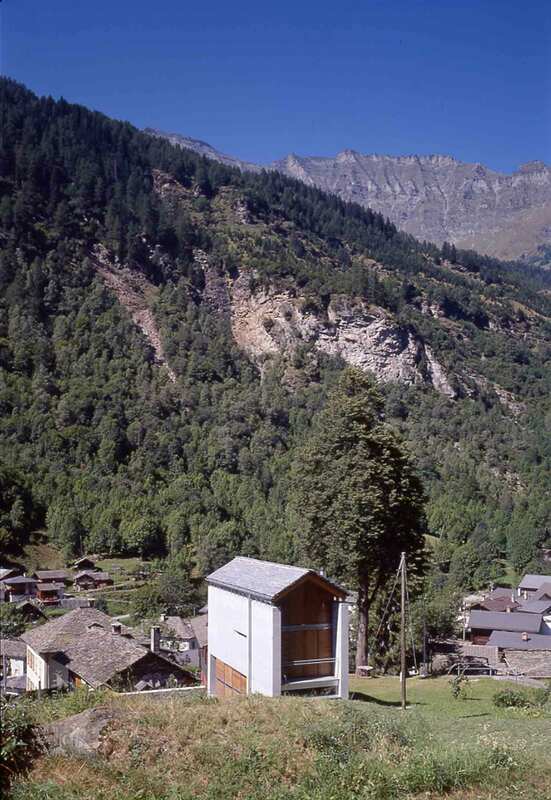 The small house (3.80 x 10m) endeavours to integrate as a new “urban” element into the old heart of this mountain village. 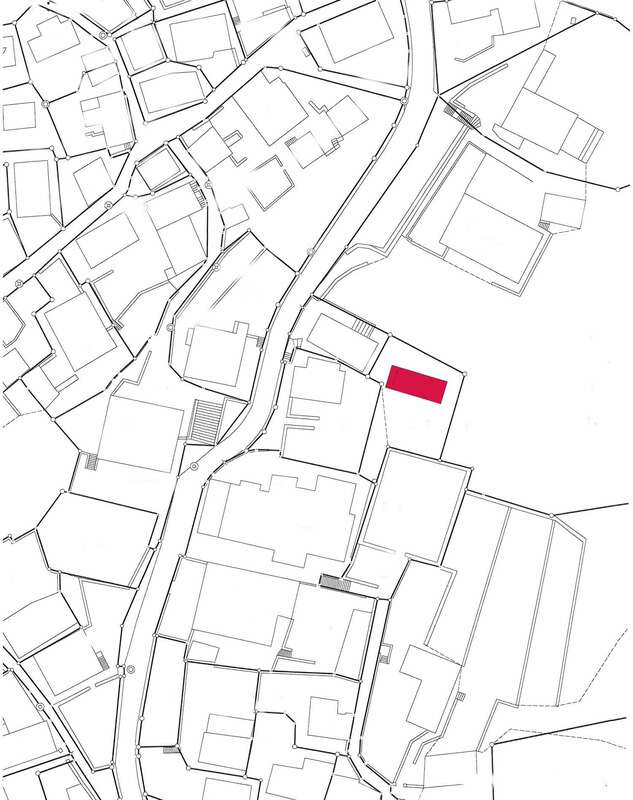 The building is intended to re-instate and to an extent, enclose the space surrounding the church, defined in part by the existing houses. 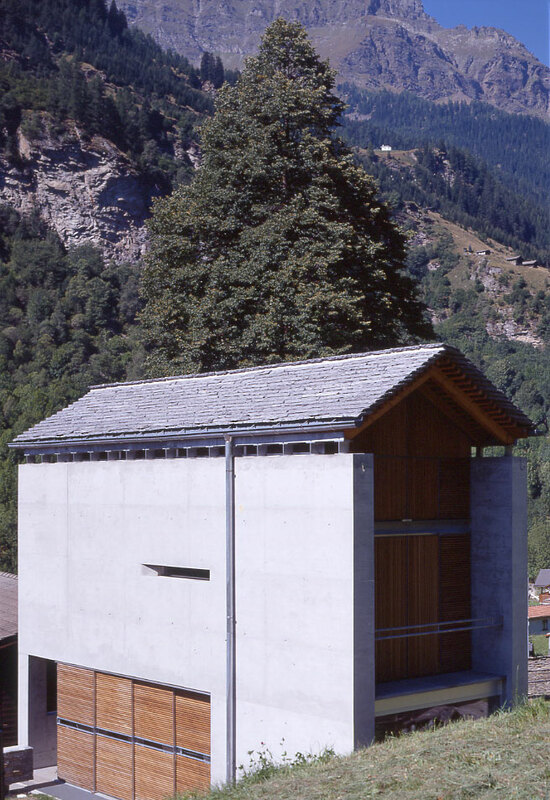 The new volume is adapted to the landscape following the principles of traditional building construction. 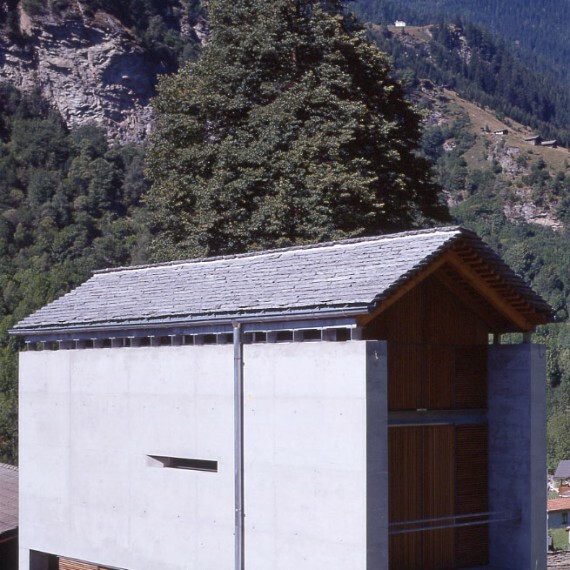 The size of the house, the internal and external spatial relationships, the dialogue between horizontal and vertical and the existing buildings of Rossa, recreate a spatial tension characteristic of this Alpine context; a tension that is balanced between stillness and motion. 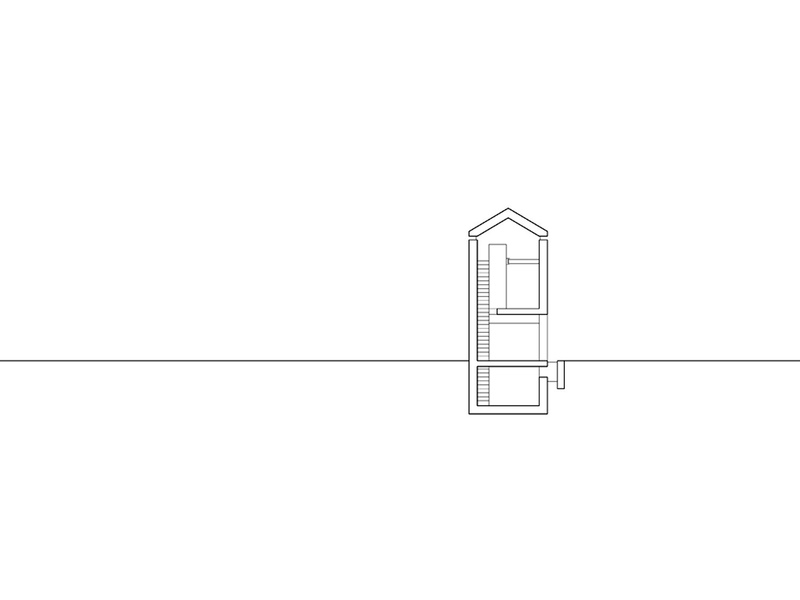 The new volume is placed parallel to the body of the church and perpendicularly to the contours of the land. The access path is marked by a new stone terrace, an extension of the existing terrace of the cemetery’s retaining wall. 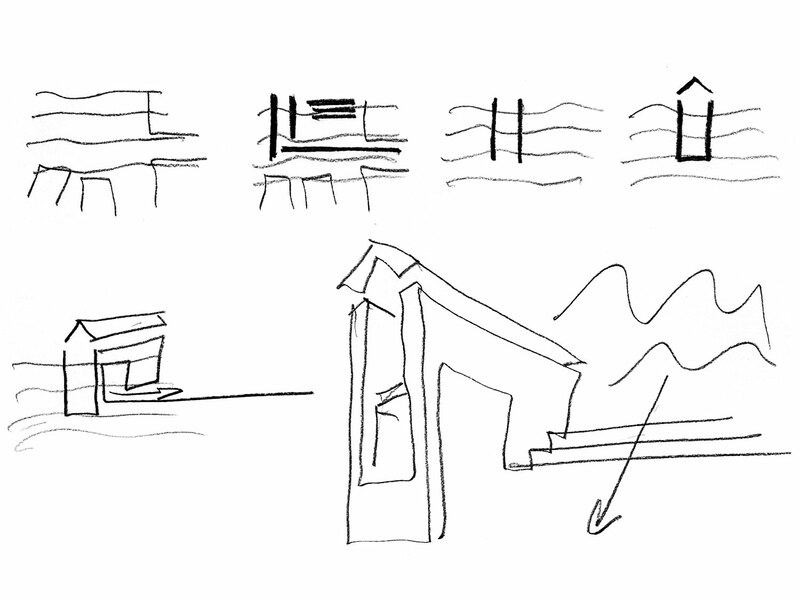 The new wall connects the old system of terraces to the entrance portico; creating a series of shifting vertical to horizontal planes, reminiscent of a supremacist composition. 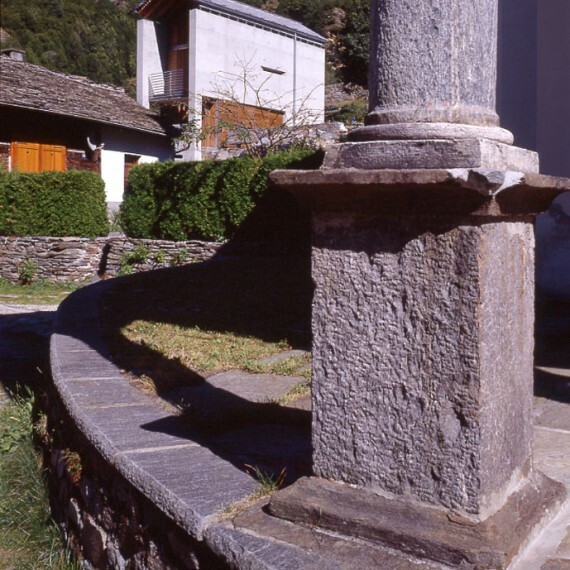 The ‘barrel’ structure of the house, with its two structural concrete transepts, reproduces the common typology found in the area, whereby the loggias were once used as spaces to dry grain and wood. 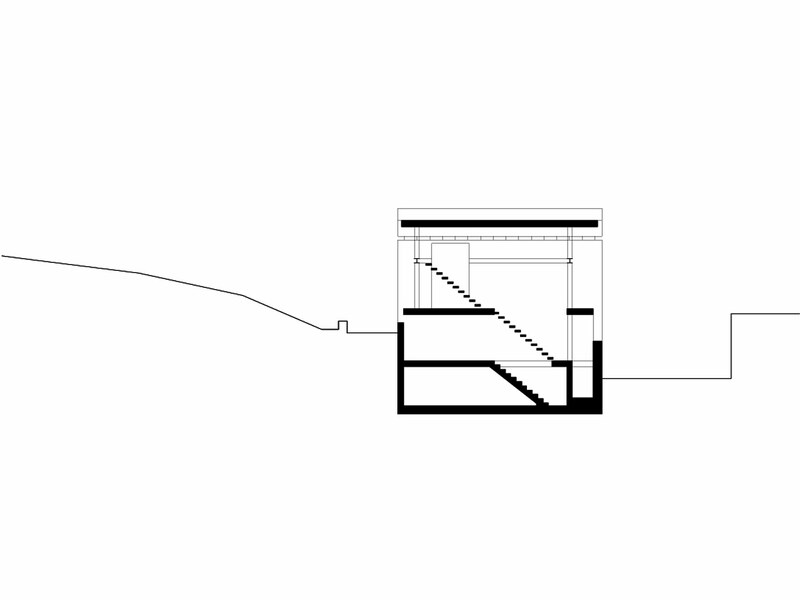 The arrangement of the living functions across three levels again adopts the rural typology: on the basement level (traditionally the stable) is the fitness area; on the ground floor, opening to the south facing terrace, are the living spaces for cooking and dining; on the upper level are the sleeping areas. 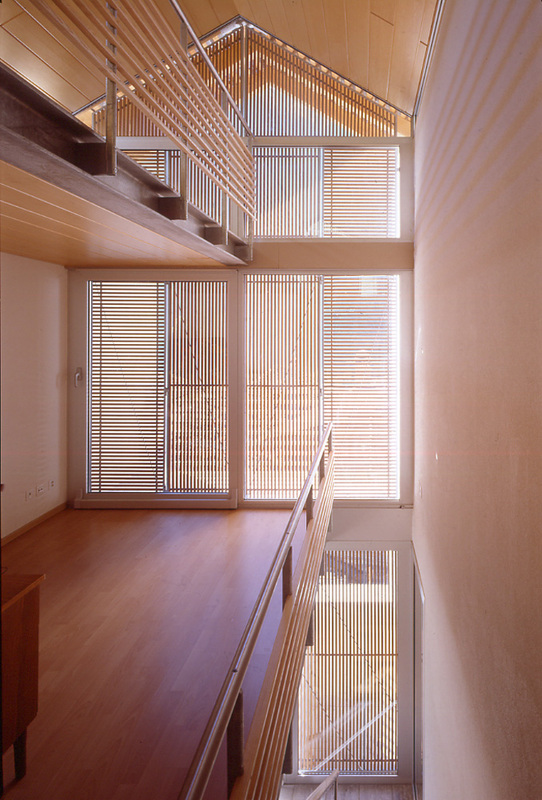 The interior space is open on all levels in order to provide an unobstructed diagonal view through the house and expands the perception of interior space. 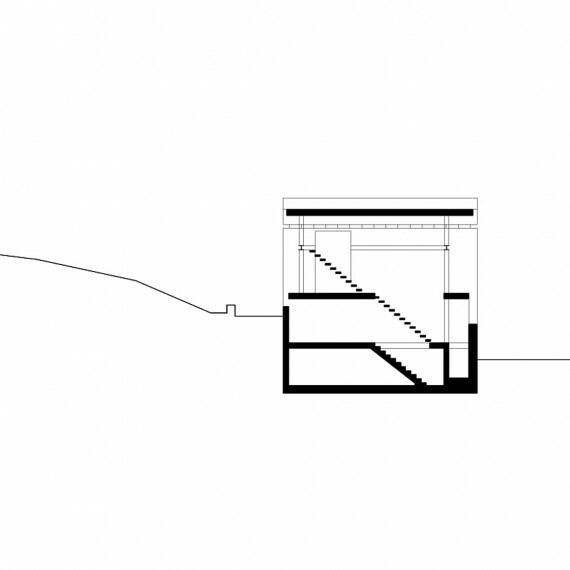 This is further emphasised by the longitudinal positioning of the stairs. 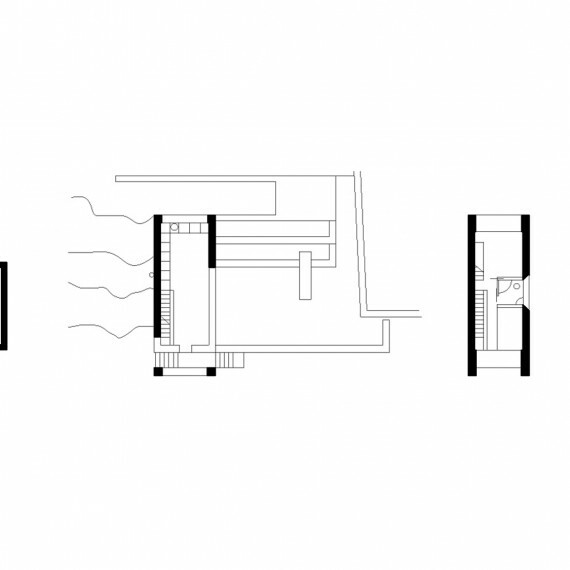 The same principle is applied in the positioning of the openings, which in respect to the dimension of the interior spaces, are very generous in size. 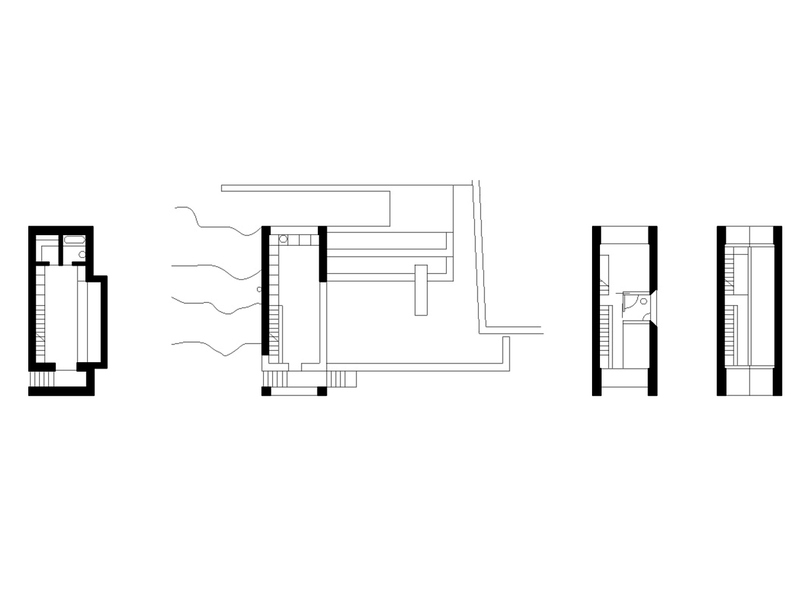 Through these openings and filtered by the loggia, the domestic space expands outward while the landscape is drawn inward. 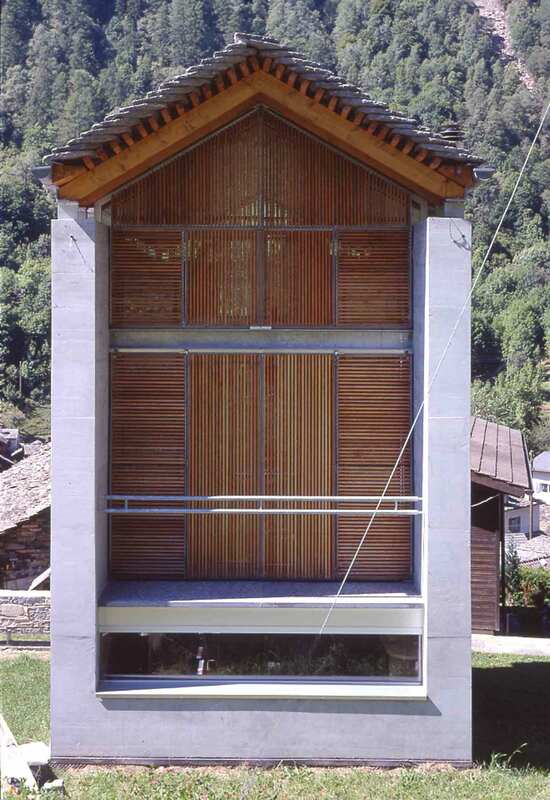 Just as in the old farmhouses, the roof, of timber beams and stone slabs, is detached from the supporting structure. 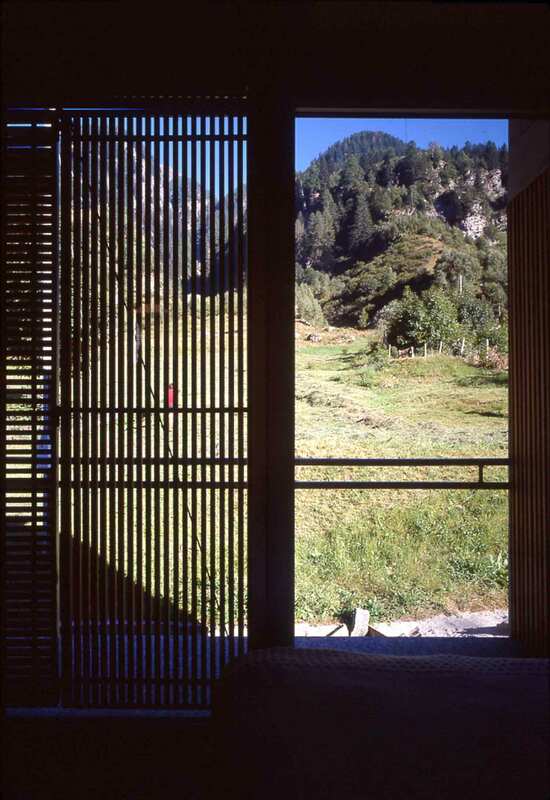 In the past, the purpose of this was to dry hay and in this house offers a spectacular 360 ° view over the valley. Building regulations demanded a traditional (or similar) roof covering. 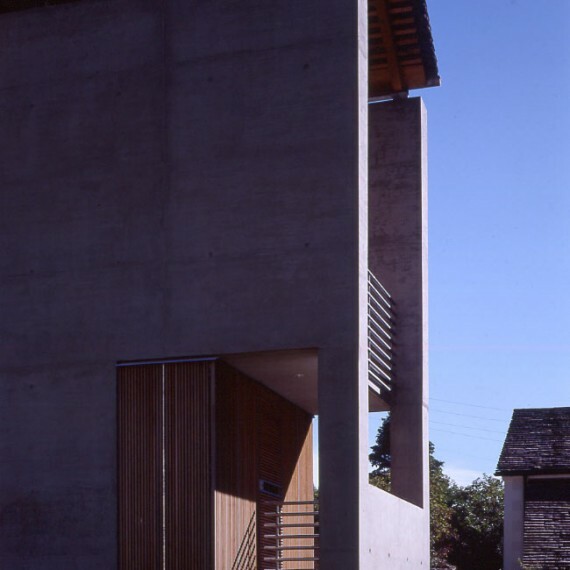 However this essentially was against the constructive spirit of a rational time and prompted us to raise the roof off the structural walls and to consider it a sculptural rather than a rational construction element. 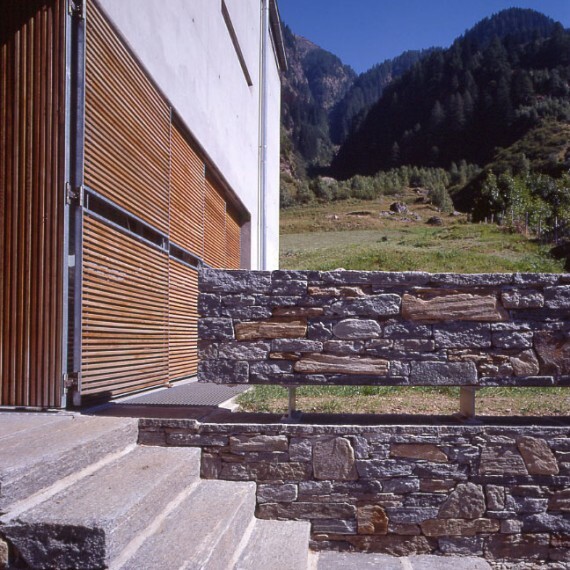 The choice of materials can be traced to the local tradition, using local materials such as stone, wood, sand and aggregate for concrete. 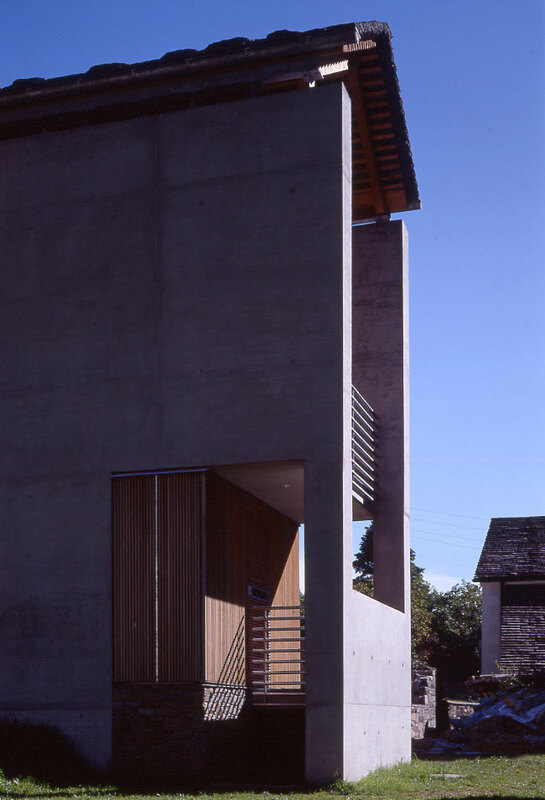 The large south facing window (shaded by timber brise-soleil) is placed flush to the façade in order to fully exploit the potential of passive solar heating while the dark stone floor acts as an element for storing heat. In contrast, the glazed parts of the sleeping areas that are exposed to the east and west are recessed, so as to ensure them sufficient shading and greater protection. 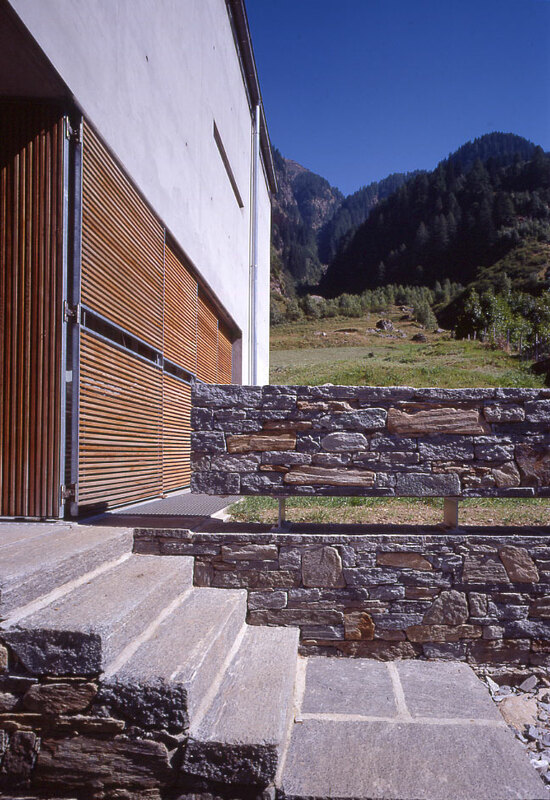 Apart from presenting a reinterpretation of the historical character of the region, the house supports the rhythm of life and its daily activities. 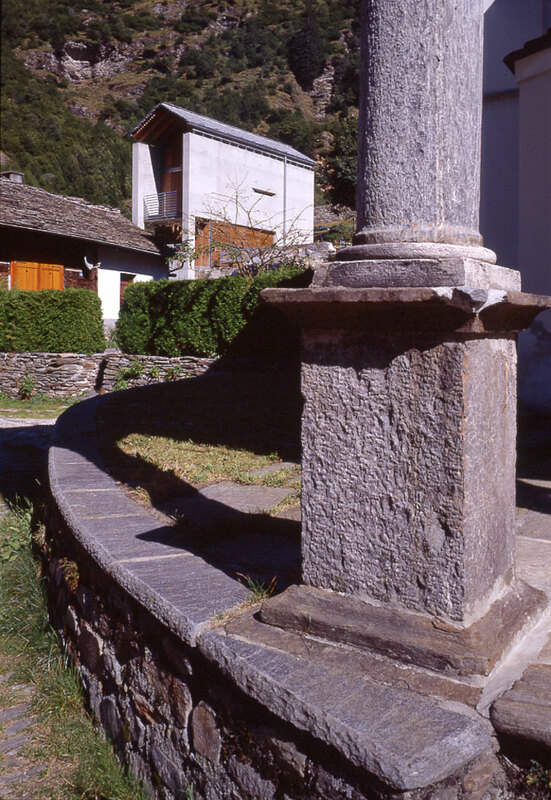 Through this small project we have rediscovered the unique sensitivity and come to understand the reasons of the builders of the past. Precisely because they had access only to limited resources, they chose to focus on the essential needs of living and on the relationship between man and nature.